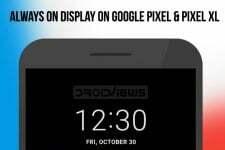 The Always On Display on Samsung devices shows vital information such as clock and calendar, pending notifications, no. of missed calls and messages all without draining a significant amount of battery power. But how? All thanks to Samsung for their gorgeous and power saving AMOLED displays. In the smartphone industry, an AMOLED display is unparalleled by any other display technology at the moment, period. 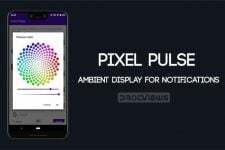 AMOLED, the complete display technology. Period. 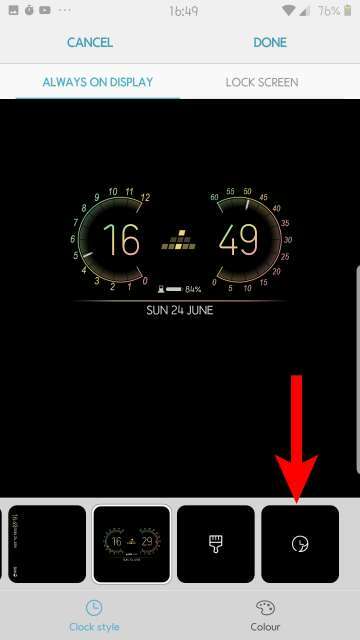 Samsung Clockface app gets you new Always On Display/Lock screen clock design or faces (Samsung devices running stock Oreo 8.0+). Last week, Korean tech giant Samsung released an updated version of their good old Good Lock app which was itself last updated back in 2016. 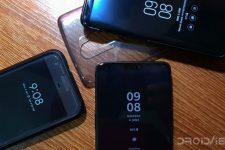 The Good Lock app brings with it a new way to interact with your Samsung devices and also gives you an idea on what to expect from Samsung as far as their flavor of the upcoming Android P update is concerned. 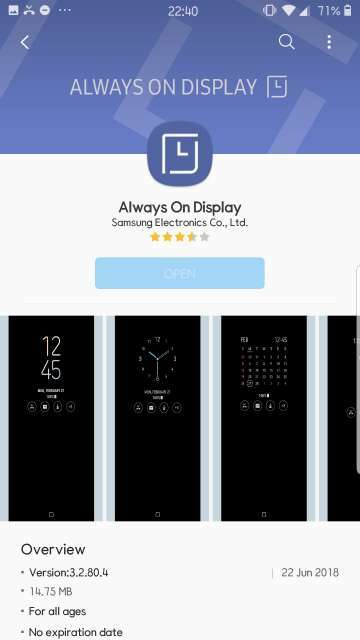 Now, courtesy of APKMirror.com, we have come across an app developed by Samsung (eventually may also get integrated into the Good Lock app in the future) called Samsung Clockface which aims to bring over 27 new clock faces and styles to the AOD and lock screen clock. Follow the instructions below on how to install the app and get the new clock faces. 1. 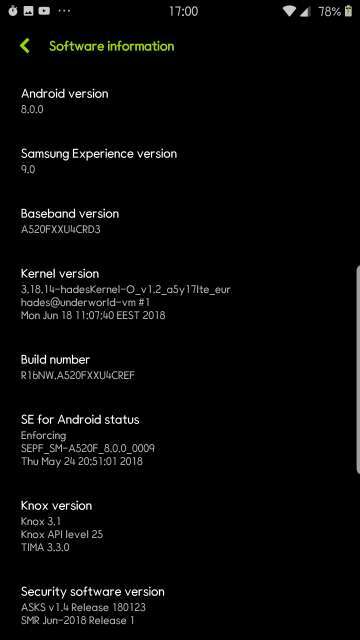 First and foremost, head into Settings > About Phone > Software information to make sure your Samsung device is running Oreo 8.0.0 or higher along with Samsung Experience version 9.0. 3. This is a very important step to ensure that the Always On Display app is updated to the latest version. Head to the app drawer on your device and Launch Galaxy Apps (mostly located in the Samsung folder). Tap the three dot button located in the top right-hand corner and select My Apps > Update, and then update the Always On Display to the latest version, if available. 4. 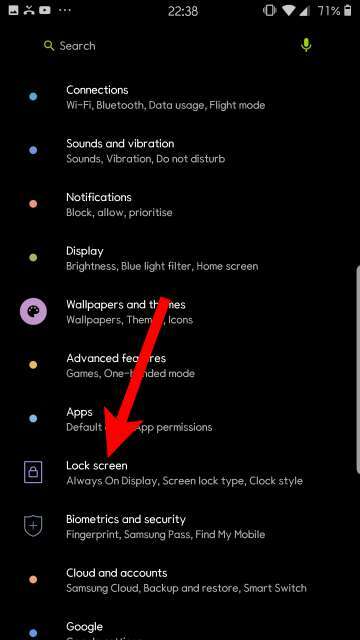 Head over to Settings > Lock screen (Lock screen and security on some devices) > Clock style (Clock and FaceWidgets on some devices). 5. 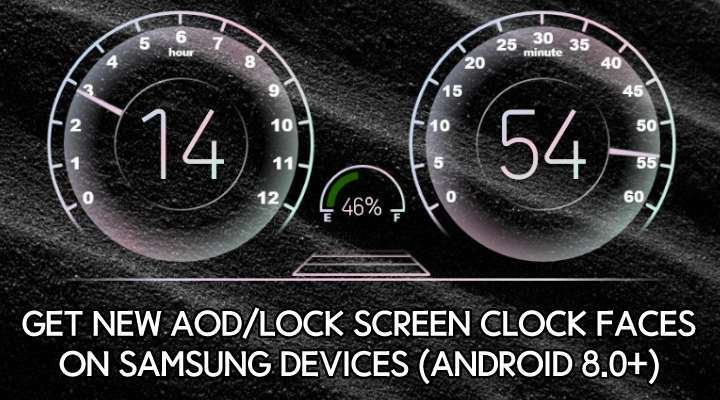 Next, you will be able to select the default AOD or Lock screen clock faces. 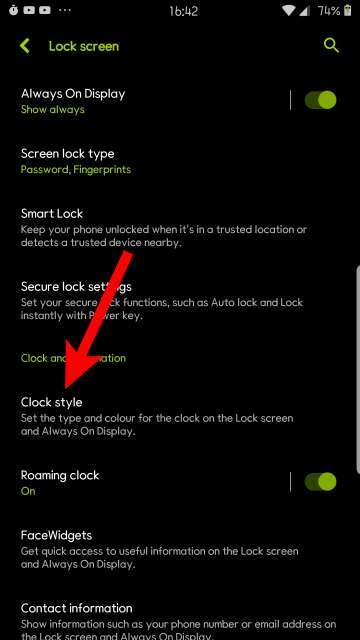 To access the newly installed clock faces, just scroll all the way to the right to reach the last option (a clock icon), tap the icon and now you have the newly installed clock faces at your disposal. 6. Once you select your favorite one out of the lot, make sure you tap Apply located in the top right corner and then tap Done at last to make sure it’s applied. That’s it. Enjoy the new clock designs. 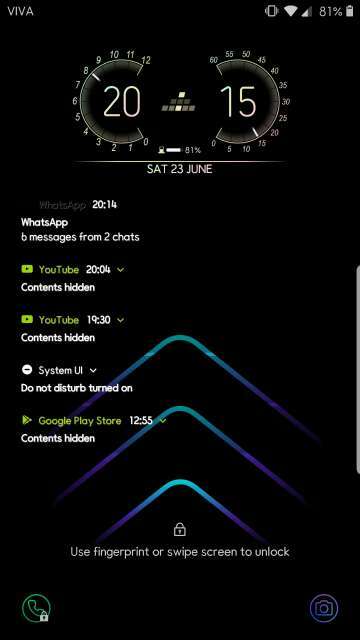 As usual chime in the comments to let s know your experience and take with this new app by Samsung that enables new Always On Display/lock screen clock faces.